Make purchases here using your PayPal account OR credit or debit card. After you click on the "Buy Now" button, just click on "Pay with a credit or debit card" instead of logging in to PayPal. 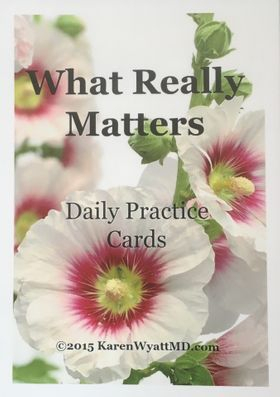 This set contains one card for each of the 7 Lessons from the book What Really Matters and includes practical, simple suggestions for incorporating the lessons into your daily life. Use the cards as quick reminders of the spiritual wisdom you would like to embody, or choose a card to help you find your way through a difficult time. Read this book – it has the power to change the way you see ... everything! 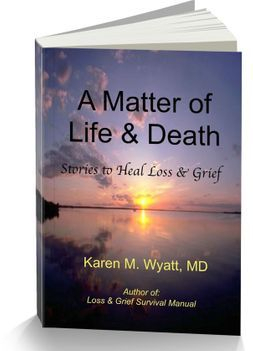 This is a book of inspirational stories and poems dealing with grief, loss and spiritual growth. 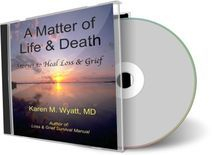 From the author's personal experience with the suicide death of her father, she has drawn a wise and compassionate perspective on the importance of healing grief in order to permit spiritual growth. These writings are presented as a gentle guide to those who suffer grief and a beacon of hope for those who are lost in despair. 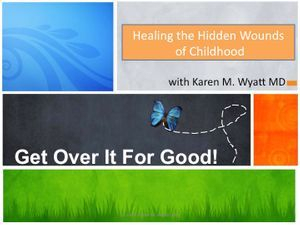 Stories deal specifically with healing the wounds of childhood, finding meaning in suffering, seeing the Divine in everything, and developing compassion. Selected stories from the book A Matter of LIfe & Death narrated by the author. Available for immediate download as an M4A file. 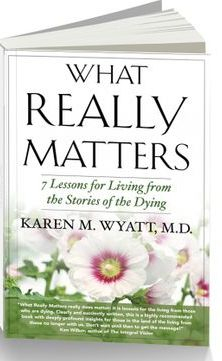 In this course Dr. Wyatt will lead you on a journey through the 7 Lessons from the book What Really Matters and show you how to apply them to your day-to-day life. Through a series of weekly audio recordings, homework assignments and practices, you will experience the wisdom of each lesson, such as Forgiveness andSurrender, from a new perspective. Change your life and deepen your spiritual practice with this transformational course. 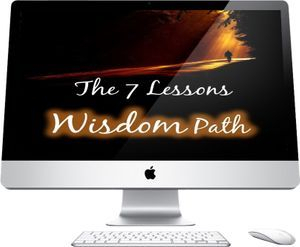 To purchase The 7 Lessons Wisdom Path click here. To purchase Get Over It For Good click here. 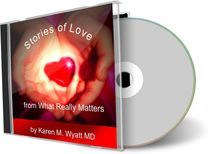 Selected stories that reveal the importance of Love from the book What Really Matters. Narrated by the author. Available for immediate download as an M4A file. This is a beautiful book of daily devotions for the elderly written by my mother and her friend. Each devotional passage is written as a message from a loving God to His devoted servant and includes suggestions for Scripture readings, as well. 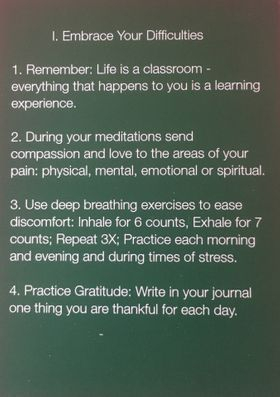 These thoughts are perfect for reading aloud to an older person, perhaps in a nursing home or hospice. Click the Buy Now button and I will send it for just the cost of shipping. 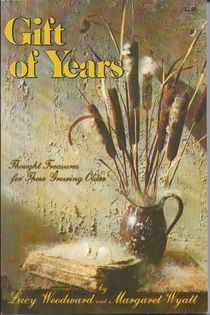 If you order one of my books above I will include a FREE copy of Gift of Years, in cherished memory of my dear Mom!